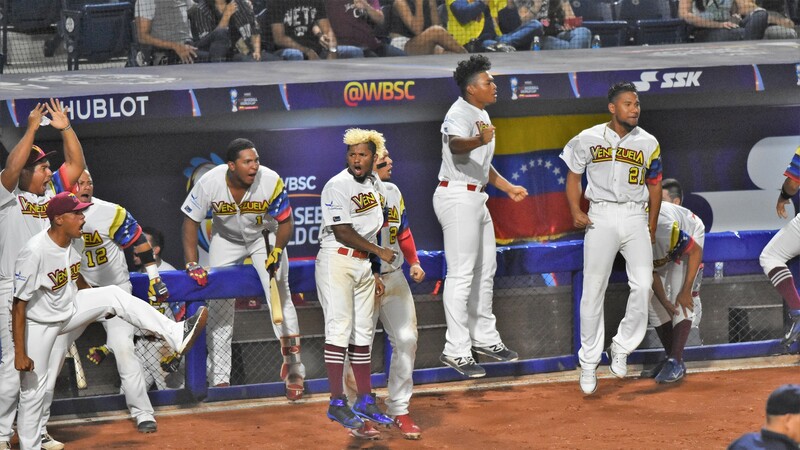 Le Venezuela était invaincu dans la Coupe du Monde de Baseball U-23 mais s’est fait surprendre par le Mexique qui a fait montre de puissance et a réalisé les jeux défensifs dans les moments clés de la rencontre. Le Mexique vise désormais une place en finale. JAIME MEDINA Marco Tulio grounds out. 6-3. 1 out. HERAS ARIPEZ Bernardo strikes out swinging. 2 out. VALENZUELA VALENZUELA Roberto Yahir flies out to right field. F9. 3 out. CEDEÑO MENDOZA Leandro Arturo hits into a double play. DP 163. LUJANO PACHECO out at 2nd 16. 3 out. GARCIA Omar Alan flies out to center field. F8. 1 out. ORNELAS MURRAY Julian Rafael doubles to left field. UREÑA MENDIVIL to 3rd. PIÑA IBARRA Orlando Fortunato flies out to center field. Sacrifice Fly. SF8. 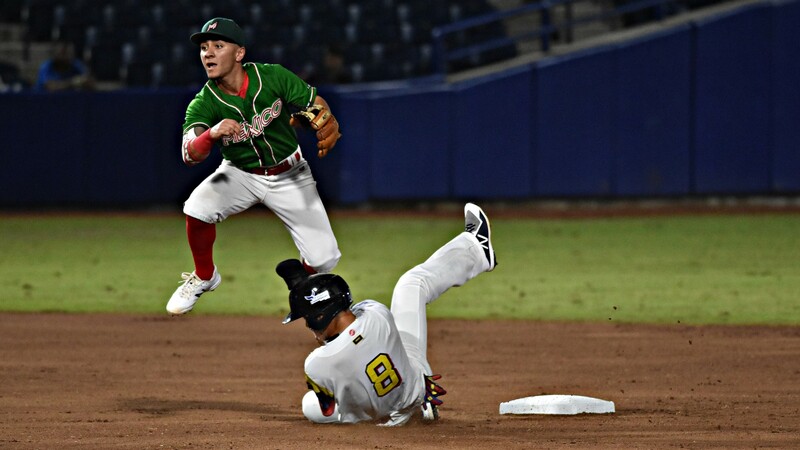 UREÑA MENDIVIL scores. 2 out. 1 RBI. OBESO GONZALEZ Norberto singles up the middle. ORNELAS MURRAY scores. 1 RBI. MACIAS VARGAS Fabricio singles up the middle. OBESO GONZALEZ to 2nd. JAIME MEDINA Marco Tulio strikes out swinging. 3 out. CONCEPCION HERNANDEZ Hit By Pitch. MACHADO ACOSTA Carlos Daniel flies out. P3. 1 out. DIAZ ARTEAGA Joel Samuel flies out to left center. F8. 2 out. HERAS ARIPEZ Bernardo grounds out. 6-3. 1 out. VALENZUELA VALENZUELA Hit By Pitch. GARCIA Omar Alan walks. VALENZUELA VALENZUELA to 2nd. Ball 1. VALENZUELA VALENZUELA to 3rd on stolen base. UREÑA MENDIVIL Jose Carlos strikes out swinging. VALENZUELA VALENZUELA scores on stolen base. GARCIA to 2nd on stolen base. GARCIA to 3rd on E2. 2 out. ORNELAS MURRAY Julian Rafael grounds out. 3-1. 3 out. 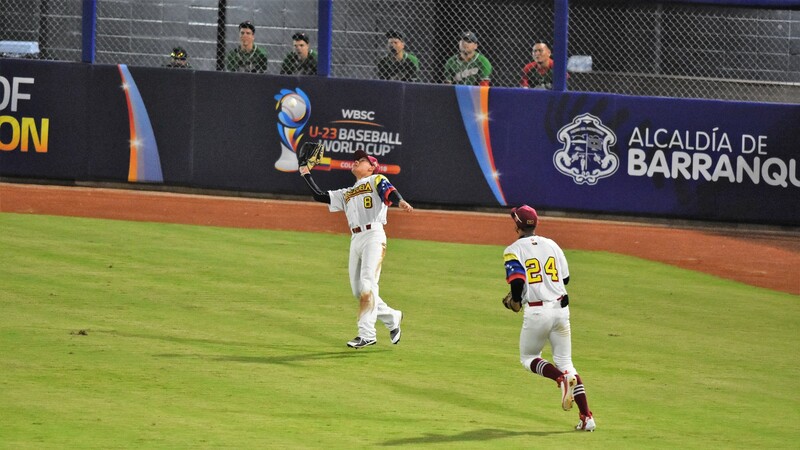 YEPEZ ALVAREZ Juan David flies out to right field. F9. 1 out. RODRIGUEZ SUBERO Jorma Jesus grounds out. 6-3. 2 out. 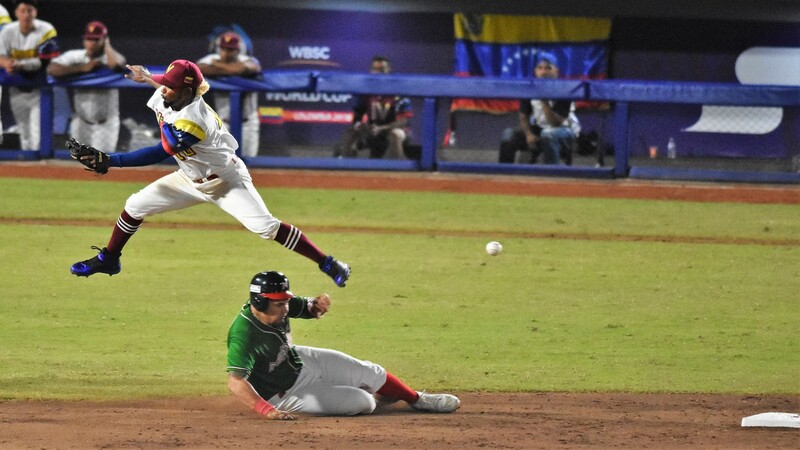 HERNANDEZ RIVERA Yonny Jose flies out foul. FF6. 3 out. PIÑA IBARRA Orlando Fortunato grounds out. 5-3. 1 out. 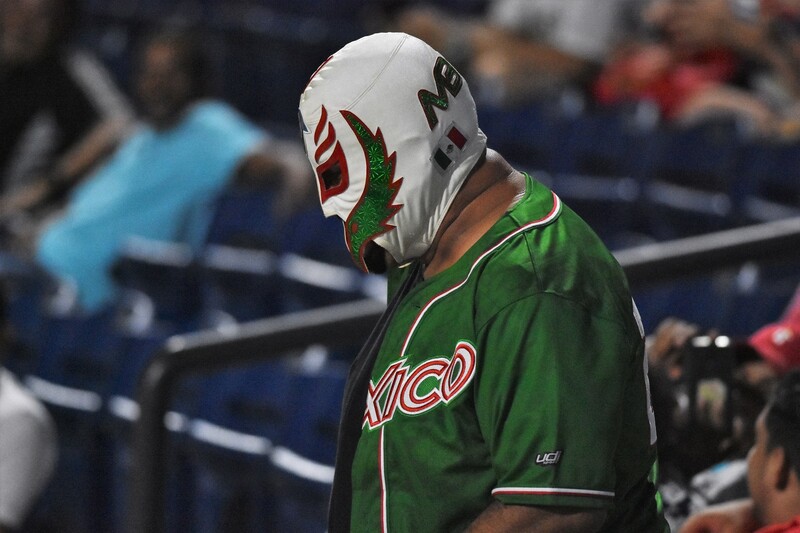 OBESO GONZALEZ Norberto doubles down left field line. JAIME MEDINA Marco Tulio grounds out. 4-3. OBESO GONZALEZ to 3rd. MACIAS VARGAS to 2nd. 2 out. HERAS ARIPEZ Bernardo flies out to center field. F8. 3 out. LUJANO PACHECO Jesus Daniel reaches on error. E-3. CEDEÑO MENDOZA Leandro Arturo hits into a double play. DP 543. LUJANO PACHECO out at 2nd 54. 2 out. CONCEPCION HERNANDEZ Anthony Jose strikes out looking. 3 out. VALENZUELA VALENZUELA Roberto Yahir walks. GARCIA Omar Alan hits into a double play. DP 463. VALENZUELA VALENZUELA out at 2nd 46. 2 out. UREÑA MENDIVIL Jose Carlos grounds out. 5-3. 3 out. MACHADO ACOSTA Carlos Daniel doubles down LF line. DIAZ ARTEAGA Joel Samuel grounds out. 6-3. 1 out. ROMERO ROJAS Yoel Omar homers to deep left field. MACHADO ACOSTA scores. 2 RBI. YEPEZ ALVAREZ Juan David singles through the left side. RODRIGUEZ SUBERO Jorma Jesus singles to right field. YEPEZ ALVAREZ to 2nd. 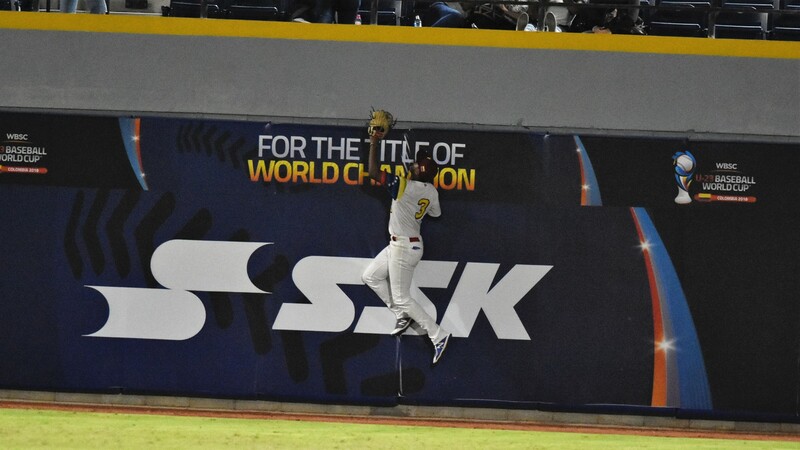 HERNANDEZ RIVERA Yonny Jose flies out. F6. 2 out. LUJANO PACHECO Jesus Daniel flies out to center field. F8. 3 out. ORNELAS MURRAY Julian Rafael strikes out looking. 1 out. PIÑA IBARRA Orlando Fortunato doubles to deep center field. MACIAS VARGAS Hit By Pitch. PIÑA IBARRA to 3rd. OBESO GONZALEZ to 2nd. JAIME MEDINA Marco Tulio singles. PIÑA IBARRA scores. OBESO GONZALEZ to 3rd. MACIAS VARGAS to 2nd. 1 RBI. HERAS ARIPEZ Hit By Pitch. OBESO GONZALEZ scores. MACIAS VARGAS to 3rd. JAIME MEDINA to 2nd. 1 RBI. VALENZUELA VALENZUELA Roberto Yahir homers to deep left field. MACIAS VARGAS scores. JAIME MEDINA scores. HERAS ARIPEZ scores. 4 RBI. GARCIA Omar Alan doubles down left field line. UREÑA MENDIVIL Jose Carlos grounds out. 6-3. GARCIA to 3rd. 2 out. ORNELAS MURRAY Julian Rafael grounds out. 4-3. 3 out. CEDEÑO MENDOZA Leandro Arturo singles through the right side. CONCEPCION HERNANDEZ Anthony Jose strikes out looking. 1 out. MACHADO ACOSTA Carlos Daniel singles up the middle. CEDEÑO MENDOZA to 2nd. DIAZ ARTEAGA Joel Samuel flies out to left field. F7. 2 out. ROMERO ROJAS Yoel Omar grounds out. 4-3. 3 out. PIÑA IBARRA Orlando Fortunato flies out to right field. F9. 1 out. OBESO GONZALEZ Norberto flies out to left field. F7. 2 out. MACIAS VARGAS Fabricio singles to right field. Called Strike 1. MACIAS VARGAS to 2nd on wild pitch. JAIME MEDINA Marco Tulio grounds out. 5-3. 3 out. YEPEZ ALVAREZ Juan David doubles to deep left center. RODRIGUEZ SUBERO Jorma Jesus flies out to left field. F7. 1 out. LUJANO PACHECO Jesus Daniel flies out to right field. F9. 2 out. Ball 1. YEPEZ ALVAREZ to 3rd on wild pitch. HERNANDEZ RIVERA to 2nd on wild pitch. CEDEÑO MENDOZA Leandro Arturo singles to left field. YEPEZ ALVAREZ scores. HERNANDEZ RIVERA scores. 2 RBI. ALVAREZ ALBORNOZ Joscar Jose strikes out swinging. 3 out. HERAS ARIPEZ Bernardo strikes out swinging. 1 out. VALENZUELA VALENZUELA Roberto Yahir flies out to left field. F7. 2 out. MACHADO ACOSTA Carlos Daniel grounds out. 3U. 1 out. PEREZ RODRIGUEZ Georvic Jose flies out. P6. 2 out. ROMERO ROJAS Yoel Omar walks. YEPEZ ALVAREZ Juan David reaches on fielders choice. ROMERO ROJAS to 2nd on E5. RODRIGUEZ SUBERO Jorma Jesus grounds out. 5-3. 3 out. UREÑA MENDIVIL Jose Carlos homers to deep left field. 1 RBI. ORNELAS MURRAY Julian Rafael doubles to right field. Ball 2. ORNELAS MURRAY to 3rd on wild pitch. PIÑA IBARRA Orlando Fortunato strikes out looking. 1 out. MACIAS VARGAS Fabricio strikes out swinging. 3 out. HERNANDEZ RIVERA Yonny Jose strikes out swinging. 1 out. LUJANO PACHECO Jesus Daniel singles through the left side. CEDEÑO MENDOZA Leandro Arturo reaches on fielders choice. LUJANO PACHECO out at 2nd 64. JIMENEZ CRUXENT Daniel Alejandro flies out. F4. 3 out.